Cut the bread into slices and rub each one with garlic. Put the bread in the oven for a few minutes. Remove from the oven and serve with olive oil, salt, pepper and oregano. Cut the tomatoes and put in a bowl, toss with olive oil, salt, pepper, parsley or basil and a piece of garlic, if desired. Prepare the sauce a few hours before serving so that the tomatoes take on the other flavors. 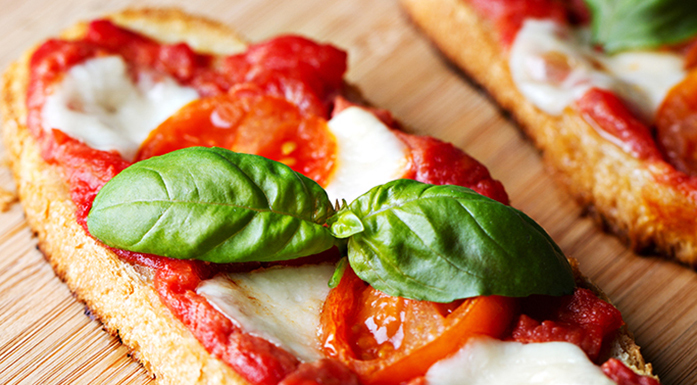 Serve the tomatoes on slices of bread that have been heated in the oven. Per accedere al sito Cella devi avere l’età stabilità dalla legge per il consumo di alcolici.